Circular drive paves the way to a grand entrance. 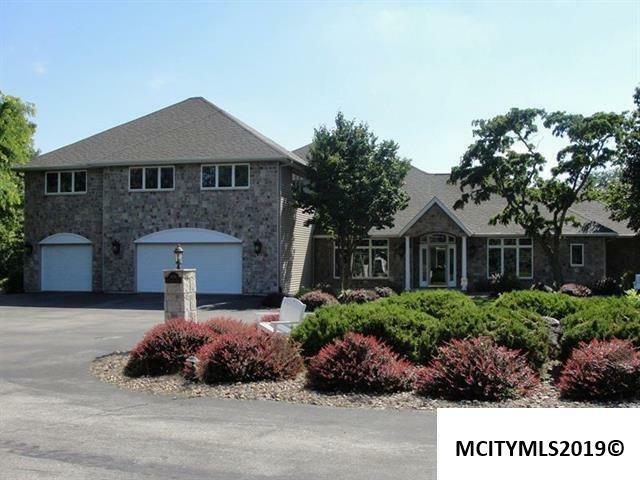 The main foyer with marble floor invites you to an open living area which features rays and rays of sunshine, vaulted ceilings, fireplace, and built in cabinetry. 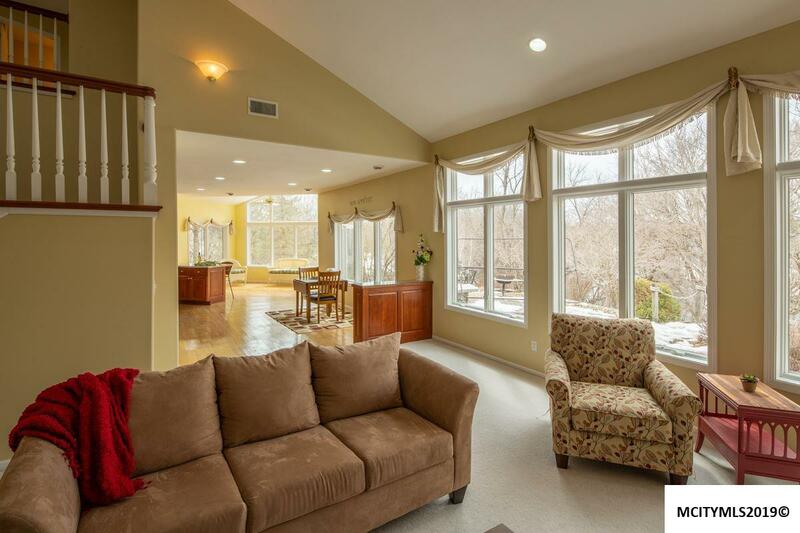 The living room, dining area, and sunroom overlook the grand patio and private wooded back yard. The formal dining room features a tray ceiling and a wall full of windows. 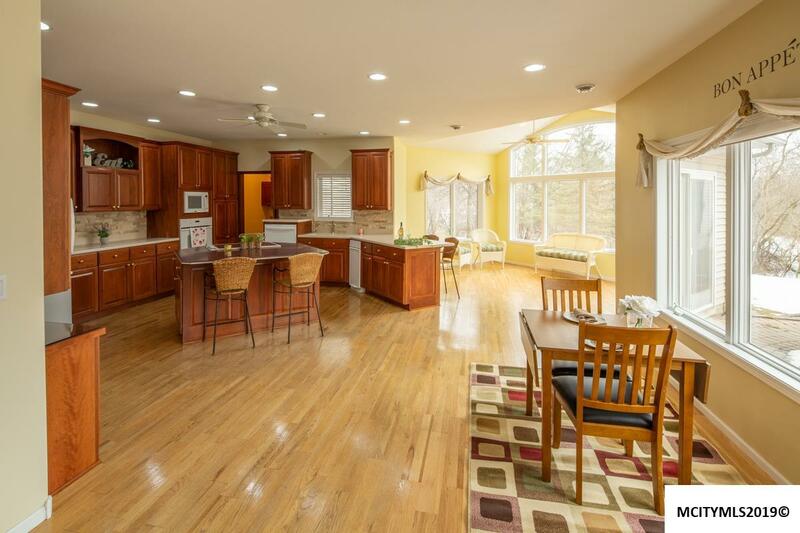 There is no telling what you will cook up in the dream kitchen with Woodharbor cherry cabinets, wine hutch, dining area, plus a breakfast bar for six. Three glass sided four seasons room for peace and tranquility. The main floor master bedroom is a sweet retreat with more rays of sunshine, fireplace, built in armoire, walk in closet and private luxury bath. The upper level features a one of a kind entertainment room and four other bedrooms. 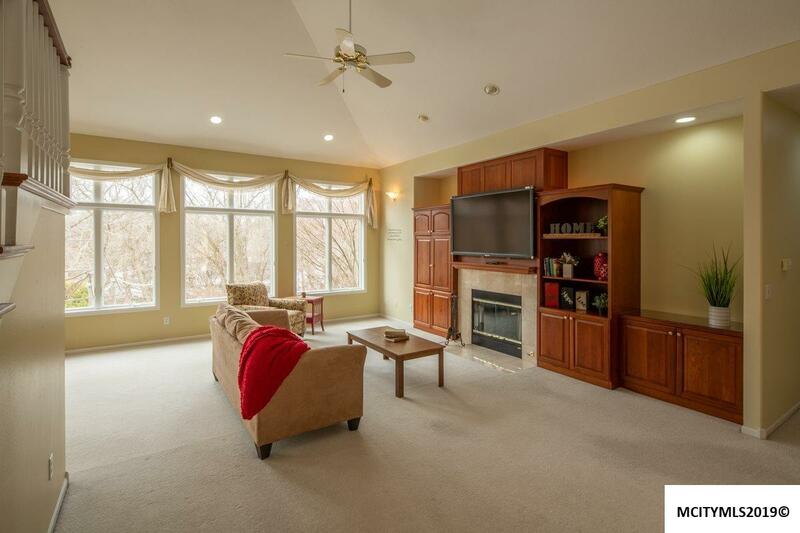 Treed backyard to a terraced 17 ft' walk way to the Winnebago River and private patio for summertime fun. This dream home can be a reality by calling today! Family Room Number1 Comments Entertainment Sized!